Love the sound of your own voice, and fancy yourself a pop culture boss? This is the job for you! 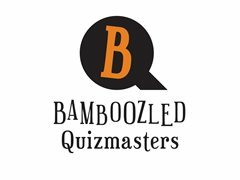 Bamboozled Quizmasters is a WA based trivia business, hosting regular pop culture trivia nights at pubs, clubs, and other community centres around town. We're looking for MCs to host weekly trivia at pubs and private events (corporate, fundraising, social etc). You are energetic and confident on a mic in front of a large group of people. You're keen to get some experience hosting trivia nights, and don't mind working weeknights and/or weekends. You'd describe yourself as fun, and capable of cracking a joke! ...is super fun, and flexible. You can pick the level of work you want to take on per week. You'll get to meet new people each week while listening to music and talking about music, movies, tv and all the fun stuff. Dream job, right? Plus, it pays damn well (enquire within).